As one of Ireland’s top Banking and Financial Recruitment Agencies, Quest Recruitment offer Python Programming roles, but what is Python? Python is an object orientated programming language widely used for its simple easy to learn syntax (you can write the same concept in Python with fewer lines of code than needed for other OO languages) which increases its readability and reduces the time taken to code and review. This all feeds into an increase in productivity . . . what is not to love so far? What Does a Python Developer Do? Python is an extremely robust programming language; less lines of code means it is easier to read which leads to quicker debugging and easy maintenance. For this reason it is now one of the most important languages for coding within banking and financial services (or any other highly quantitative industry) in particular where the language is often used for programming in pricing, risk management and trade management applications/platforms. Python language is also commonly used by Big Data developers as part of their stack. (Anyone who keeps an eye on tech news will know how important big data is in today’s world, that is a blog for another day though). However, more often than not, Python is used as part of a technology ‘stack’ alongside the likes of Java or C++., using the likes of C for more ‘performance heavy’ tasks. As with other Open Source software, there is a massive standard library used with Python which makes life much easier for all involved and also reduces the risk of human error. Any employer looking to hire a developer wants someone well versed in more than one language and Python is the perfect place to start for any beginner due to its simplicity to learn the concepts and methodologies, many of which are used in other OO languages also. Essentially, Python is the glue which will allow you to piece together your other languages. (Take oral languages for example: someone who is fluent in Italian will be much more likely to pick up Spanish, Portuguese, or French a lot quicker than a person who can only speak English). The same principals apply to programming. Python is also used for Web development, as well as Django, a popular open source web framework which is written in Python is the basis of which many hugely popular websites are based (Pinterest, Instagram, The Guardian, etc). Once you know Python, you also know Django. 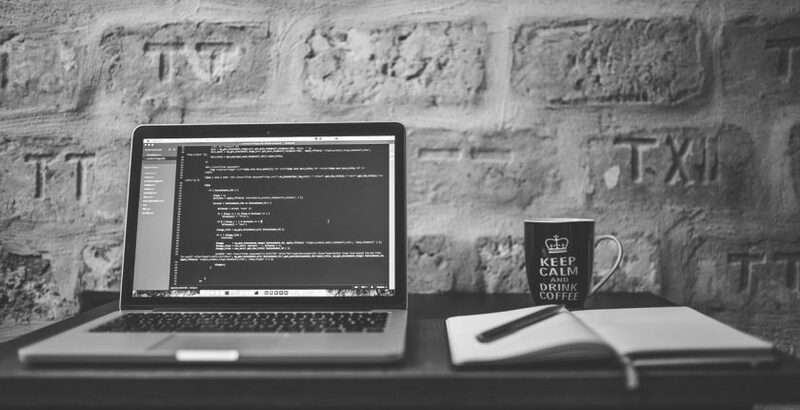 As a Python programmer you can find yourself working in nearly any industry as more and more companies catch on to the cost and time benefits of using Python as the main language in their technology stack. You will find Python Developers in both start up environments and in the largest organisations in the world (NASA are just one big company who use Python). How Much Does a Python Developer Make? As with any job, the more experience you have; the more salary you receive. If you are a complete beginner, it is recommended you start with some online courses. There are fantastic online coding courses available on the likes of coursera. We would recommend an overview of computer science/programming in general before launching yourself into a coding language. That is not to say that you can’t start with a beginners course, many do. Your initial goal should be: Get the basics down and start creating your own projects then practice, practice and practice some more. The more experience you can get the better. Freelance work for small clients (pro-bono) can be a great way to boost your portfolio. As you develop your own skills you will quickly find that as an open source language, there is a large community of Python developers online. Get involved, ask questions, share your own experiences and learn from others. Grad programs: Most of the larger companies will have a graduate recruitment programme targeted at people just like yourself. However, often you will need to have recently finished a university degree to qualify. Start ups: There are a multitude of startups in Ireland looking for junior developers who are keen and willing to learn. Community: As previously mentioned, get involved. There are a multitude of tech meetups in Dublin and elsewhere. Get involved, talk to people. Many companies will jump at the chance to get a fresh young developer who is keen to learn and drive their own learning and development. The easiest way to learn more about our Python Developer positions and roles is by calling 01 676 0505. Alternatively, you can upload your your CV here and one of our consultants will be in touch.